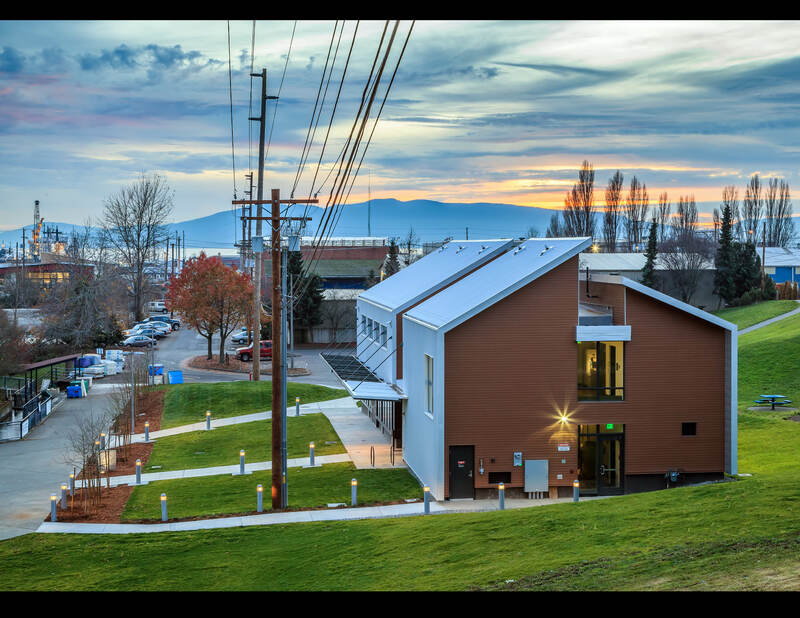 The Bellingham Technical College’s Perry Center for Fisheries and Aquacultural Science was recently awarded LEED Silver Certification (Leadership in Energy and Environmental Design). The new building designed by HKP Architects incorporates a number of sustainable features to reduce its impact on the environment, improve indoor environmental quality and reduce operating costs. Until the new building was constructed, Bellingham Technical College had been teaching students since 1974 out of the crumbling old power house from the defunct city wastewater treatment plant. The new 7,800 square foot, two story building sits on the same site within the Maritime Heritage Park which is owned by the City of Bellingham. 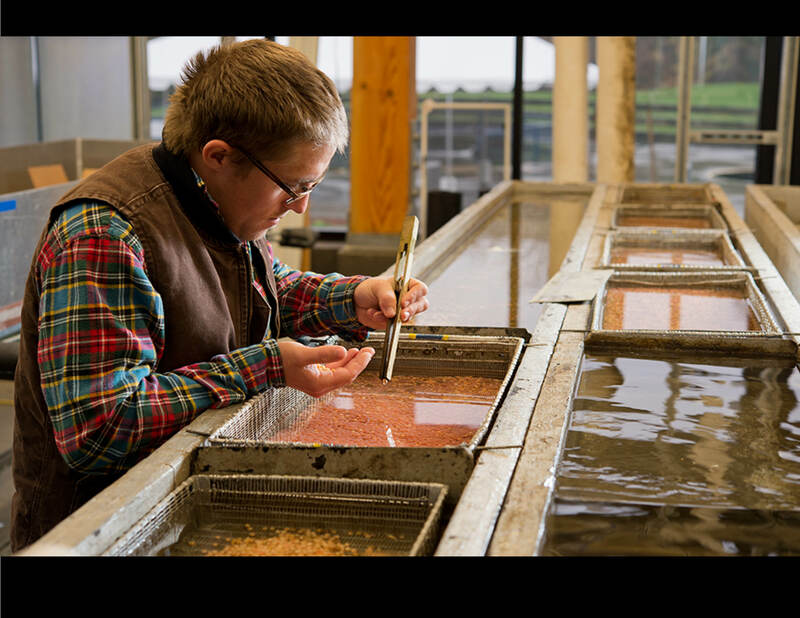 The building is designed to allow the public to see into the hatchery and appreciate the students’ work as they learn the many facets of fish rearing, habitat restoration and eco-systems protection. The building design optimizes natural daylighting and ventilation that improved the indoor environment and reduces electricity use. Heat recovery ventilation and good thermal insulation further reduces energy consumption. The result is 25% less energy use overall, reducing long-term operating costs. Exterior and Interior materials were chosen for durability, appropriate character for the maritime/industrial setting, recycled content and future recyclability. Of all the materials incorporated into the building 12% are recycled. During construction, construction waste was reduced by 98% by recycling the great majority of waste materials, thereby keeping them out of the landfill. These sustainable features and many more added up to 50 points toward the final LEED Silver certification (LEED NC v2009). More detailed information can be found in a case study available here. HKP architects is a full service award winning architectural design firm with offices in Mount Vernon and Seattle, Washington, serving public and private clients throughout Washington State since 1952.